The Bocciardi approach for RALP passes through the Douglas space, following a completely intrafascial plane without any dissection of the anterior compartment, which contains neurovascular bundles, Aphrodite’s veil, endopelvic fascia, the Santorini plexus, pubourethral ligaments, and all of the structures throught to play a role in maintenance of continence and potency. 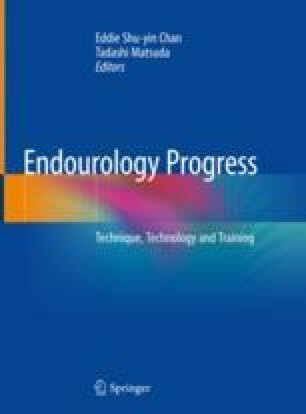 In the era of Robot assisted laparoscopic prostatectomy (RALP) including various techniques of anterior suspension and posterior reconstruction. Most of these techniques aim to restore the normal anatomy so that functional outcomes can be optimized. Nearly all published techniques to date have involved dropping the bladder and entering the Retzius space at some point during RALP. Galfano et al. reported they performed a novel Retzius-sparing RALP in three out of five patients in 2010. Since introducing this technique, we have applied this technique on prostatectomy more than 800 cases. Our Retzius-sparing RALP technique is similar to that described by Galfano et al. but there are some modified technique compare to Galfano’s. This research was supported by the Korean ministry of science and ICT to the Human plus fusion research and development challenge project in 2018 (NRF-2018M3C1B8017157).